New Delhi: The Centre is mulling incentives for private doctors who treat tuberculosis (TB) patients, and financial benefits and free medicines to those visiting them, under its “aggressive” strategy to eliminate the disease. TB is India’s “severest” health crisis and kills an estimated 1,400 people a day, the NSP draft says. It says the private sector TB care providers will be given incentives to promote TB case notification, ensure treatment adherence and completion. The incentives will be provided upon notification in the TB reporting software – Nikshay. The incentives to the private sector TB care provider are: Rs 250 on notification of a TB case diagnosed as per standards for TB Care in India (SCTI), Rs 250 on completion of every month of treatment and Rs 500 on completion of entire course of TB treatment, the draft, accessed by , says. “For notification and correct management of a drug- resistant case over 24 months as per STCI, a private provider will be eligible to receive Rs 6,750,” it says. India also has more than a million “missing” cases every year that are not notified and most remain either undiagnosed or unaccountably and inadequately diagnosed, and treated in the private sector, the draft document says. “This tragic loss of life, continued suffering, poverty need to end with concerted efforts from all of us,” it says. The Health Ministry will evolve the scheme which will also have provisions for free-of-cost medicines to TB patients going to private doctors or institutes. “To address financial and nutritional hardship patient and family undergo due to TB, and to reduce catastrophic cost to patients, cash incentive of Rs 2,000 will be provided for every TB patient through Direct Beneficiary Transfer,” the draft said. 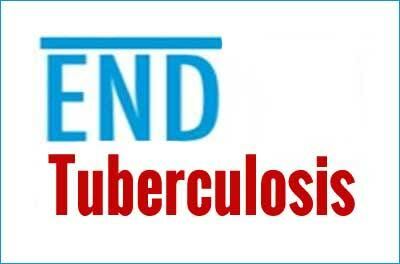 In 2015, TB was estimated to have killed 1.8 million people and six countries – India, Indonesia, China, Nigeria, Pakistan and South Africa – accounted for 60 per cent of the total number of cases of tuberculosis worldwide. “The Revised National TB Control Programme (RNTCP) notified 17.5 lakh TB patients in 2016, from both public and private sectors, and 33,820 drug-resistant TB patients are notified additionally,” the latest TB report released by the government said. High time someone is taking action. The health care workers need to visit the villages of India to pick up the cases of TB as those crowded homes with no light and elderly people coughing over others ( thinking it is just old age cough) are the ones spreading TB. Private Public partnership in TB has been a qualified success. Nevertheless there is a yawning gap between intentions and what happens in the field. Lot to learn. More to unlearn. Excellent idea. Practitioner should be well informed about the scheme.